Hooray for another peak into our home! I think I'm giving you these peaks right now knowing that in a few months we may be doing renovations on the upstairs. Hopefully we'll be adding another bedroom with a walk in closet & a cool little laundry room expansion type of deal. I know I said a while ago I was going to do a little laundry room make over - well I sorta did it then I put off the rest. If it's going to change I didn't want to spend time & money on it to have to redo it later! A while ago I posted the above photos on Instagram (follow me @fivesixteenths!) and today I wanted to share with you what I actually did with all my polishes! I first posted about my nail polish display/collection here way back in January of 2012! Since then I've moved & changed it a little bit.....and now I changed it a little bit again. 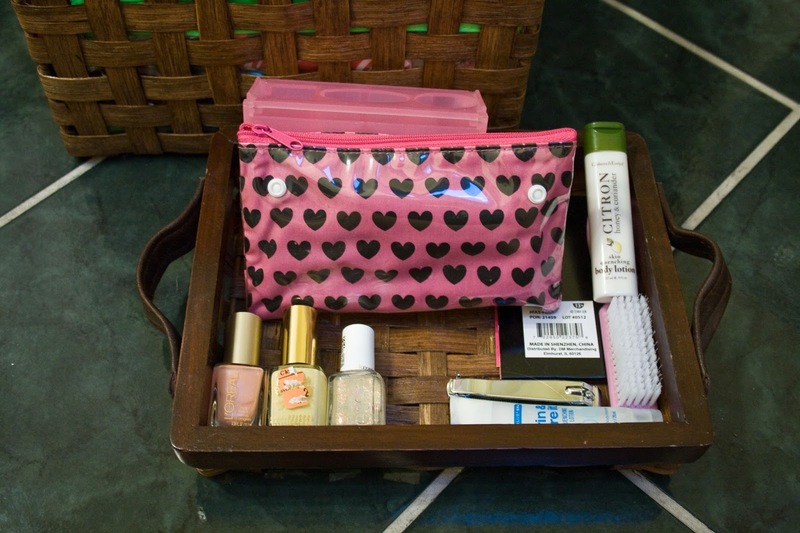 This post today is going to be a bit similar to this post I did previously about the perfect manicure kit in the sense that I still store my nail polish in baskets. But I've stepped up my game a little bit & made it a bit fancy. 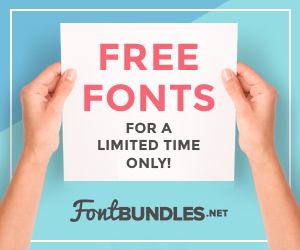 Peek below to see! If you don't like seeing bathrooms - avert your eyes, especially because there's a toilet brush in there! But I store my nail polish collection in the bottom of these three baskets in a skinny 3-section bookshelf. This little shelf is from Target, it's about $14 and you can find these all over the place especially around move in time for college. 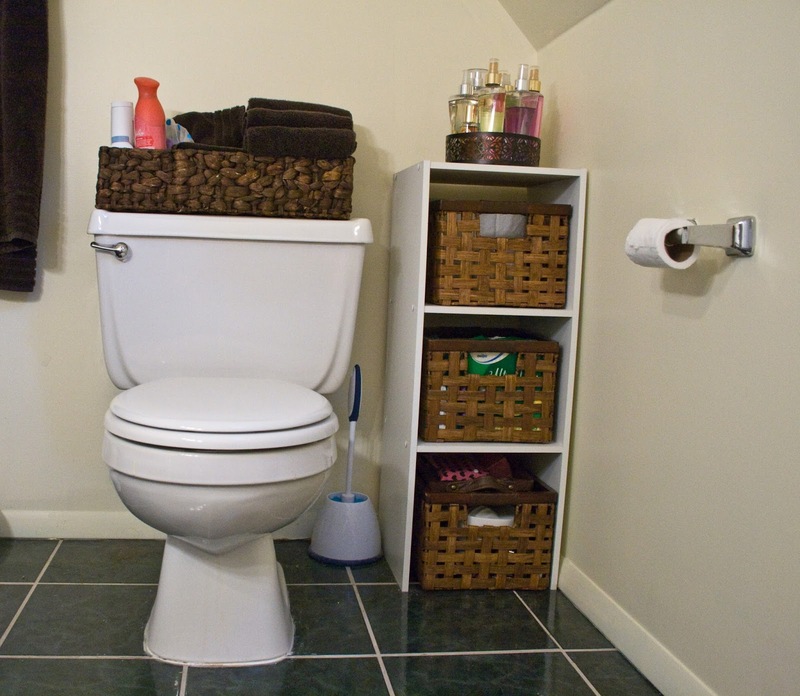 If you're curious - feminine products are in the middle shelf & extra TP is in the top shelf. Just keeping it real here. These baskets are from Target & currently on Clearance in the store as well - I can't find them online so I hope they are still in store! I bought the bottom two full price then found the 3rd one on clearance later. 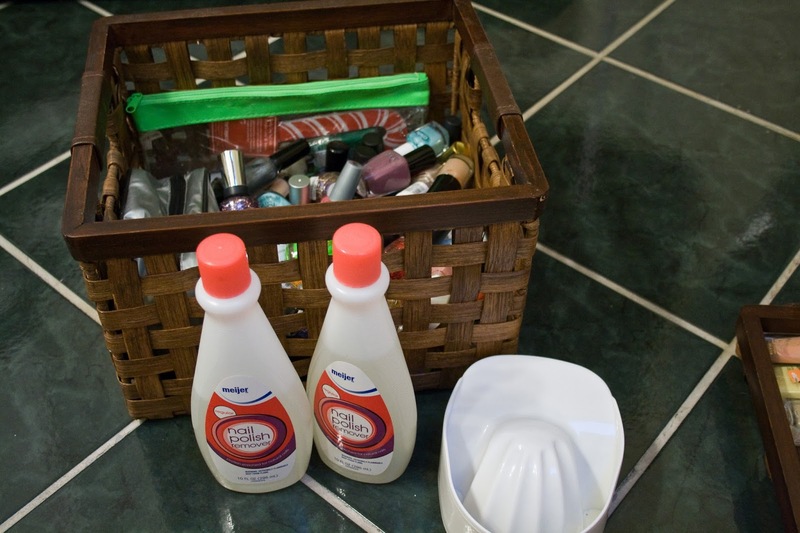 I love these baskets because the style came in different sizes & this smaller tray. (This could totally be DIYed with a smaller tray/basket & two leather straps attached.) This tray stacks neatly on the top of the basket and it still fits in the shelf. In the tray I keep all the things I would need to do a manicure so I can fill the tray & take it with me. It acts as a carry all & catch all and as a hard surface, if I need one, when I do my nails. 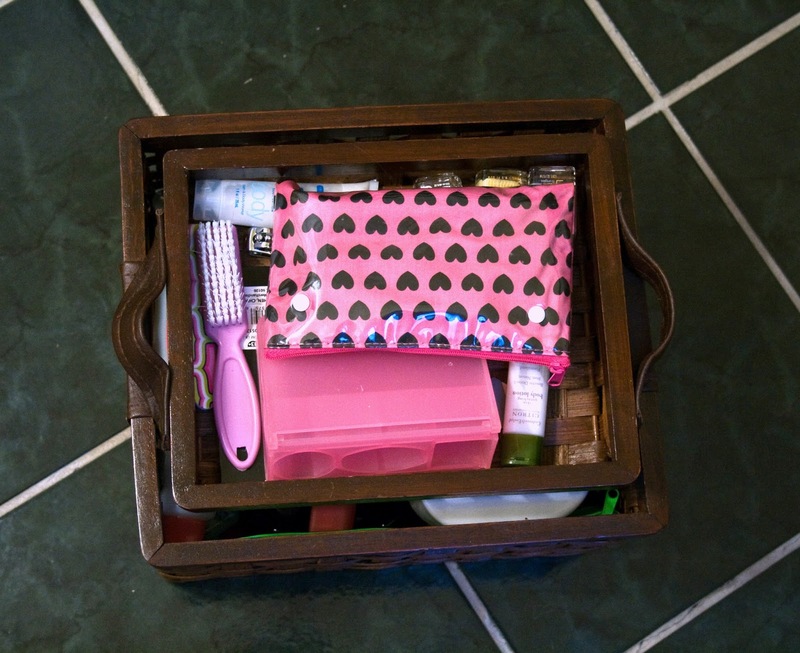 I wish I could link for you this little pink tray (behind the pink & black heart pouch) that is awesome for setting between your legs & using as a little table to paint your nails on....but sadly it was a gift ages ago & I can't find one. It't pretty cool because it fans out & holds three polishes....just in case you're painting your nails on the couch or in bed. In the pink & black hear pouch is also something I can't link because Icing discontinued their Base & Top Coat that I looooove. I have like 5 back up bottles! In that pouch are some of those Icing top coats & various other drug store top coats. I like to keep those separate so I don't lose them in my polish collection. Then I have some of my favorite polishes, nail clippers, files, lotion, & my nail brush. I can pick all this up & take it to where I plan on doing my manicure then wrangle it all back together to put away. 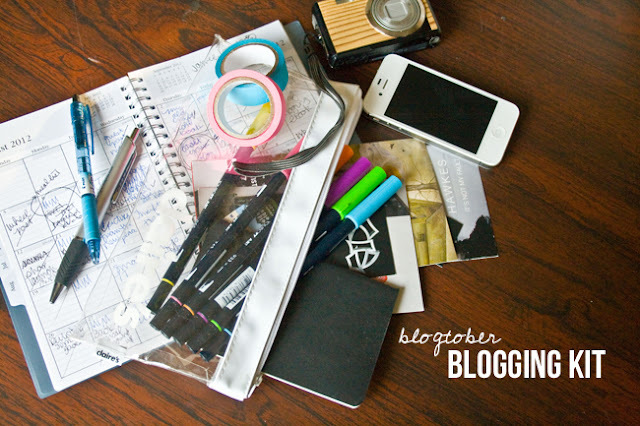 Then in the big basket I store all my polishes, extra files, my nail file/drill thing (scary! ), a tub to soak my hand, and nail polish remover. As you can see from the images at the top of the post I threw out a lot of my old polishes. I haven't bought a new one in a loooooong time! But most of my collection is from Claire's & Icing's because I love the formula. There's some Zoya & Nailtini from Ipsy bags, some Sally Hansen, Revlon, & L'Oreal. It all fits so nicely in this little set up that I'm super satisfied! Hopefully you can find these at Target now but if not, the tray is very DIY-able. 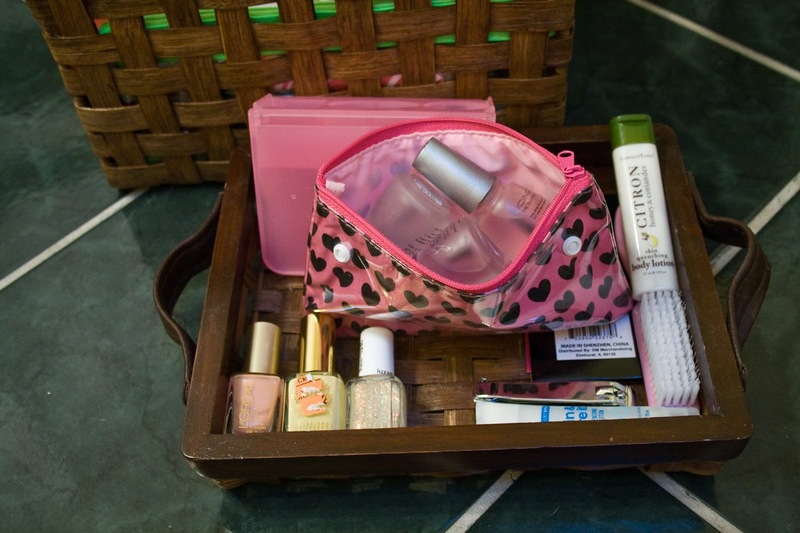 Love your bathroom, Moe :) I tend to keep my nail varnishes in a make-up purse.